South Florida brides, get excited for the Bridal Showcase Florida! This fabulous bridal show is only FOUR days away! 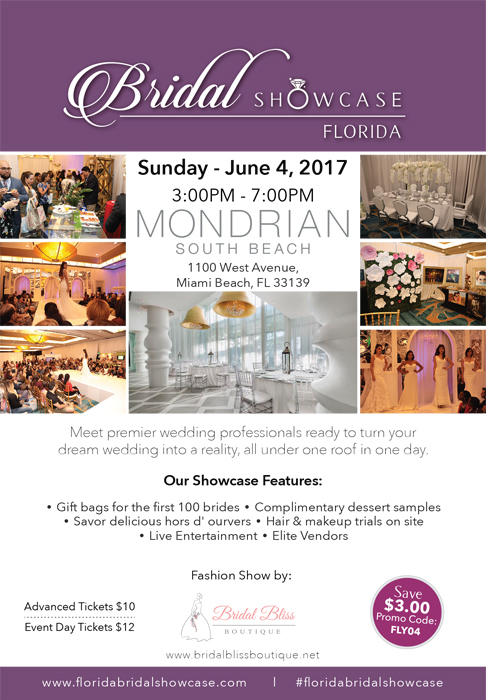 Get ready to spend your Sunday afternoon at the Bridal Showcase Florida at Mondrian South Beach this Sunday from 3:00-7:00 p.m! You will love planning your dream wedding day with incredible wedding professionals who would love to bring your wedding vision to life! 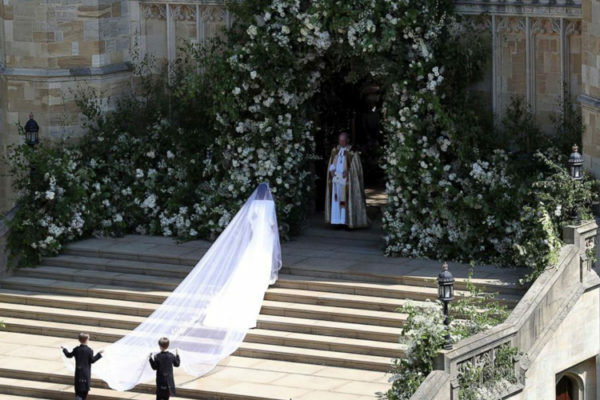 These wonderful wedding vendors will showcase their services to compliment all styles of brides, so you are sure to find vendors who cater to your personal style. Turn your dream wedding vision into a reality all under one roof in one day. Make sure to arrive early! The Bridal Showcase Florida will have gift bags for the first 100 brides who walk in the door. Enjoy delicious hors d’oeuvres, cake samples, grand prize giveaways, and live entertainment for an unforgettable weekend! “Passionate about all that they do, our partners are committed to excellence, to you and to your big day. Come join us at this or any upcoming Bridal Showcase.” There will be $10 special event parking at Mondrian South Beach for the event. Mondrian South Beach is located at 1100 West Avenue, Miami, Florida 33139. Make sure to purchase your tickets here today to secure your spot for this beautiful bridal show! Bridal Showcase Florida in 3 Days!